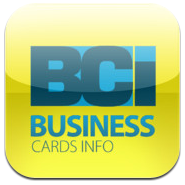 Currently viewing the tag: "business cards info"
Wouldn't it be nice if you could just have virtual business cards that you could always look up on your phone? Perhaps even look at them on a map? Well, this is the idea that Business Cards Info tries to accomplish on the iPhone.